This northern city was the former Capital of Ethiopia during the time of the Ethiopian Empire until 1855 and is steeped in history. 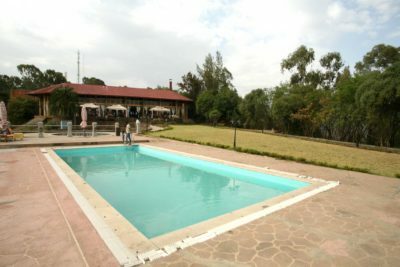 Located in a low bowl among rolling hills, on the Lesser Angereb River Gondar also acts as the gateway to the Simien Mountains further to the north and Lake Tana to the south. Gondar’s past was one of high wealth and it is famed for its castles and palaces built in the 16th and 17th Century within the impressive Royal Enclosure (Fasil Ghebbi) which still stands strong today thanks to the work of UNESCO. Gondar is also celebrated for the intricate artworks of the Debre Berhan Selassie Church, the only church here to have survived from the 17th Century. This incredible stone and thatch church is also built inside a walled enclosure. On entering the church, it is difficult to know where to look, with every interior wall beautifully painted with biblical scenes, Saints and 135 Cherubs covering the ceiling. The city is today still an important religious centre for the Ethiopian Orthodox Church and is rich in both ancient and modern history and culture.